Balyasny Asset Management NYC — Valerio Dewalt Train Associates, Inc. 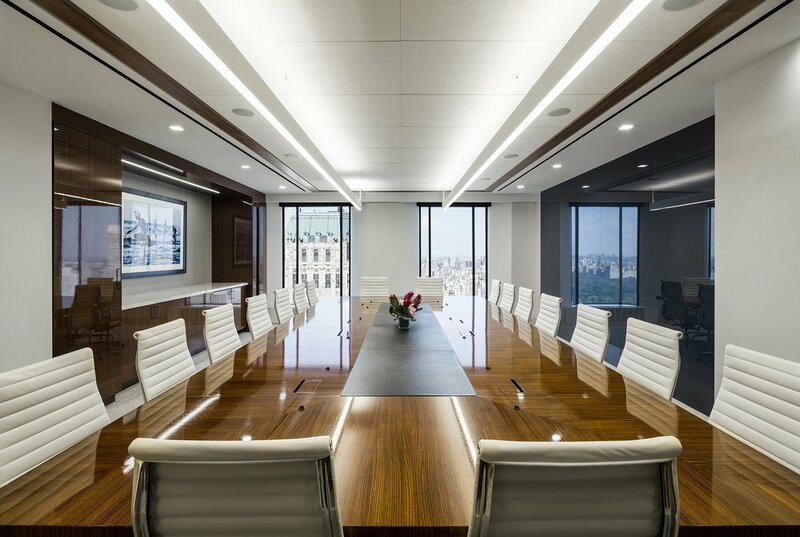 Occupying the entire 35th floor of the General Motors Building, the expansive views of Central Park and midtown Manhattan from Balyasny Asset Management’s (BAM) New York office are unbeatable. The 39,000 square-foot space consolidates four of BAM’s former offices into one. 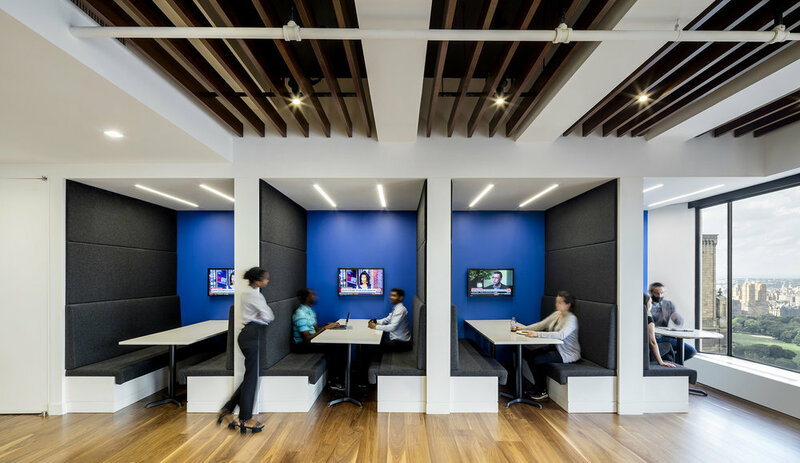 The new design changes the company’s spatial organization from traditional, private offices to a unified, modern, open office organization. 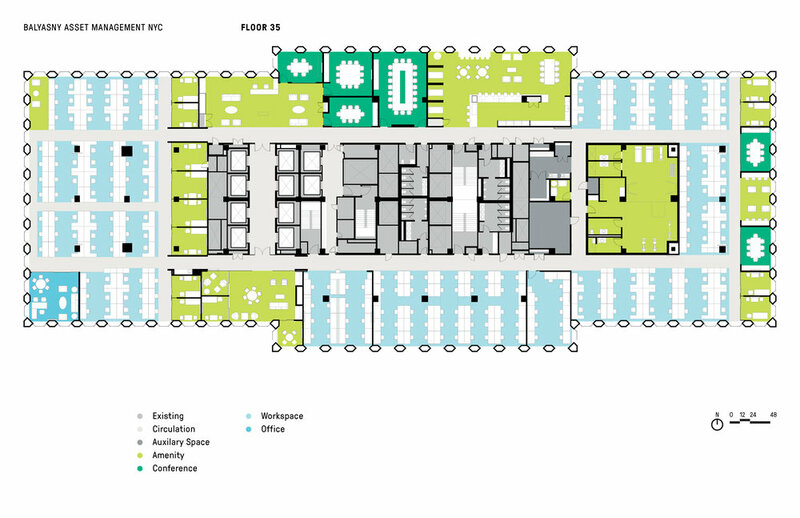 It was important to foster a high degree of connectivity within BAM’s office as well as the office’s relationship to the city. 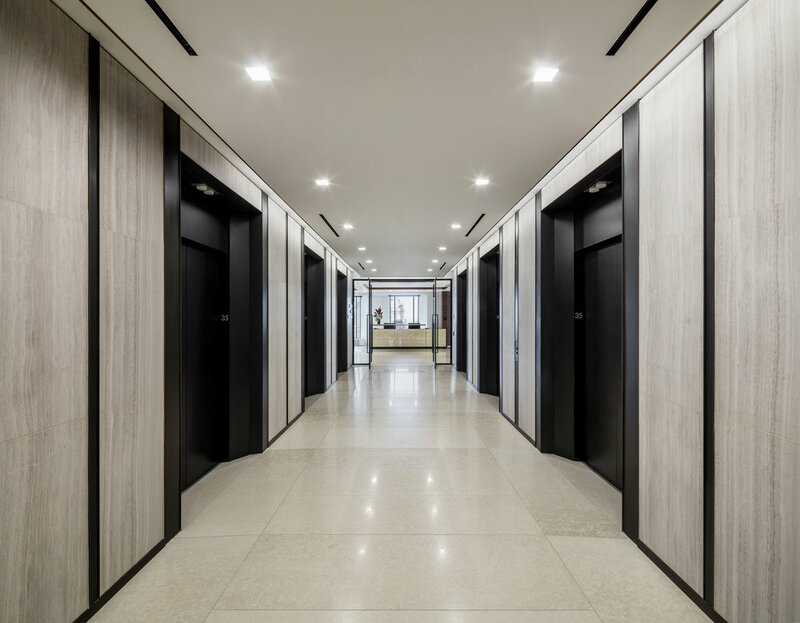 Reception, the trading floor and board rooms look out onto Central Park, while the East open offices, workstations and the library are met with unobstructed, eye-level views of some of New York’s most iconic architecture. 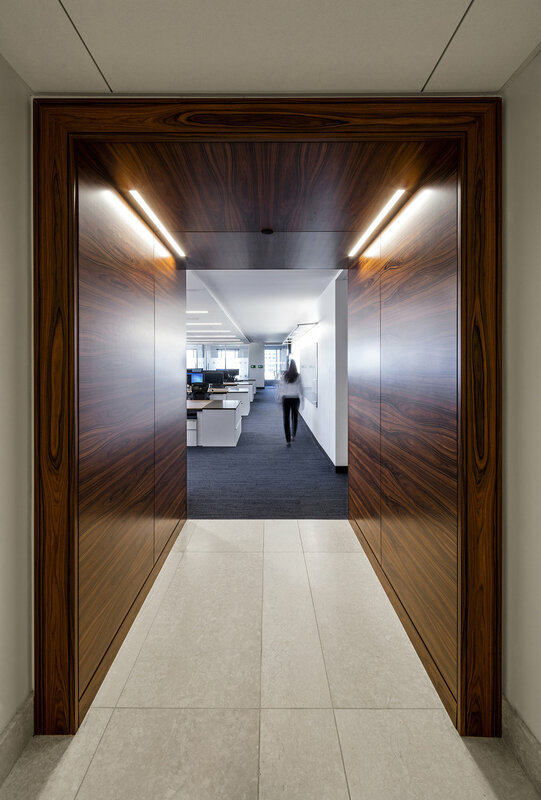 Wood-paneled portals both separate and connect the open offices from the central hub of the office. Finishes create a clean, modern aesthetic while conveying a sense of distinguished timelessness. 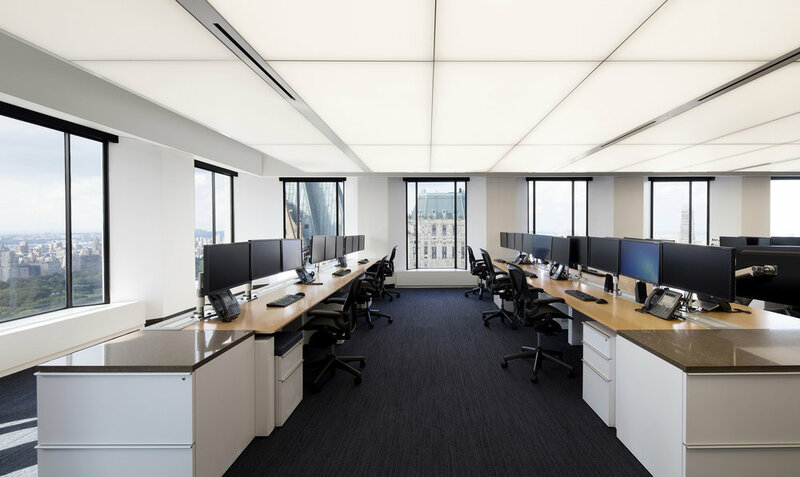 The backlit ceiling that spans the trading area creates a cinematic experience, setting the tone for the high-intensity work on the floor. 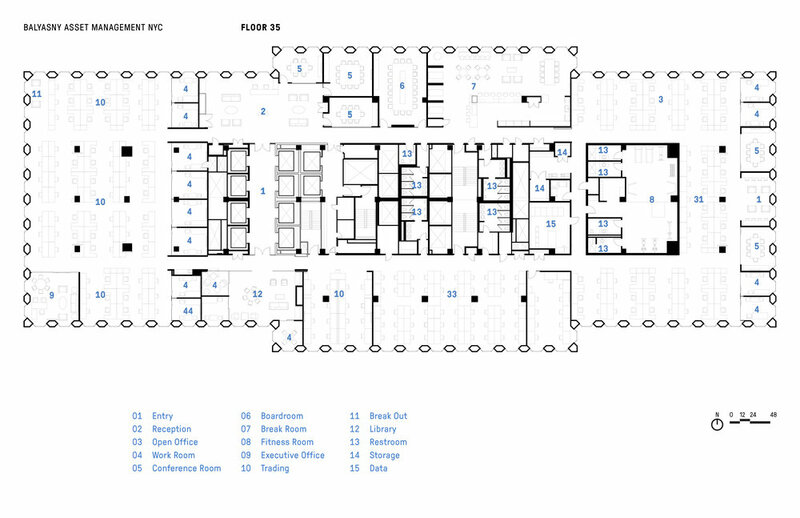 Communal and social spaces are placed in the center of the floor. With the addition of the new cafe, library and fitness center, BAM’s previously dispersed staff are now able to work, dine, lounge, and work out together, fostering communication, collaboration and a sense of community—with a view.